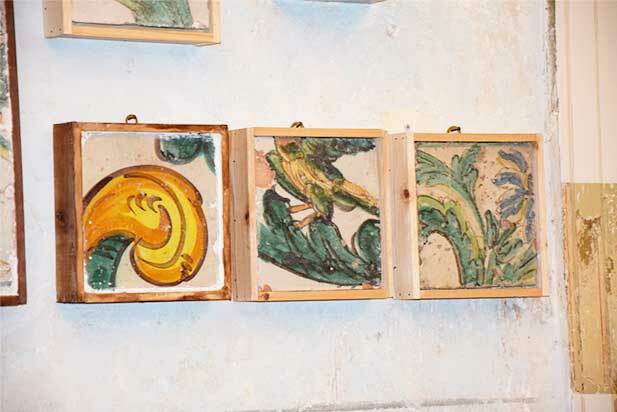 As your semi-official host and guide, today I’m gonna tell you about our not-so-well-known, but beautiful display of sixteenth-century tiles to be found in the house-museum Stanze Al Genio. This privately-owned museum/bed and breakfast is well worth a visit. You don’t have to spend the night there. But it’s wise to make a reservation for a visit because of the many tourists. Buona sera a tutti and a good evening to all! As usual, your old servant Tano is here to provide you with the most useful, inside information that may help you to explore my fair city like a real local (even better sometimes) without missing one important thing. And Palermo, like so many European cities that slowly grew from primitive settlements to the (sometimes) majestic grandeur they enjoy today. You’ll be hard-pressed to find a city so crazily disorganized as Palermo, but it’s not really that difficult, I gotta tell you. That’s because you’ve got Don Tano whose love for his natal city is so great that, over the years, he has explored (and sometimes been chased out of) every nook and cranny of this Sicilian chaos. And I guarantee that if you listen to me, you’ll get the most for your money and then some when you come here. By the way, when you do come to Palermo, be sure to go to my  Visitor Information page. All right! Let’s cut the chatter and get to the useful information. Of course, I can’t possibly tell you all about Palermo in one short article. That would take a book and you may not have enough time to read it before arrival. So today I’m going to focus on the Stanze al Genio. 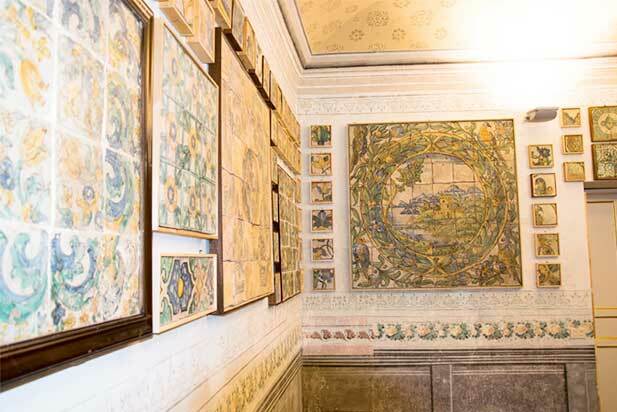 This is a privately-owned museum that hosts some 5,000 pieces of tile that come from the end of the 16th Century and up to the start of the 20th Century. This collection of stationary antique, as well as contemporary ceramics, surrounds roomfuls of modern and antique objets d’art. 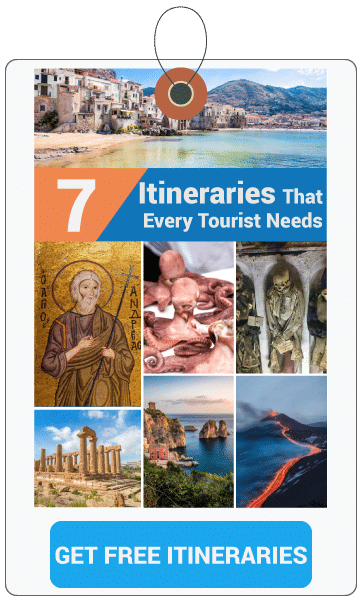 I know there are  many fascinating things to see and do in Palermo but I think this is really a must-see while you’re here. Aside from that, Palermo has one of the largest cultural heritages in Europe almost certainly can’t see everything in a short few days, but if at all possible you should really try to take a couple of hours to visit the Stanze al Genio Museum. Visits are guided both in the Italian and English languages. You can book your tour online, by emailing stanzealgenio@yahoo.it or by calling this number:  +39 340 097 1561. The entire tour lasts about an hour. During the first half of the tour, a competent guide will explain the styles and different periods of the majolicas as you pass through the different rooms. 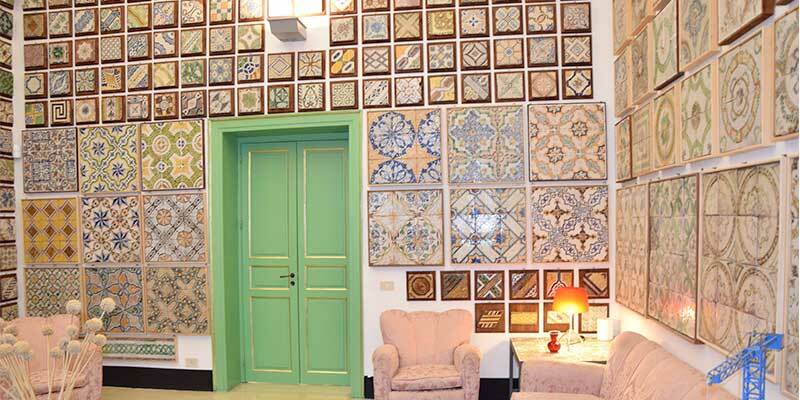 There is about 5,000 ancient Neapolitan and Sicilian majolica dating from 1600 onwards. Each narrates its unique story through the skillful artistic work. Even in this day and age, many appear to be futuristic, cutting-edge geometric graphics left by mysterious aliens from the far side of our universe. During the second half hour, you can freely go about from room to room and appreciate the parts of the collection that most interest you. Some are surprised to notice that they aren’t simply walking about a museum, but rather, a home to the people who live there. The owner, a mythical and mysterious figure never appears in the house during visiting hours. And lastly, just a five-minute walk from the museum, there is an Arab “souk” or market called Lattarini. You can stop by there to pick up a couple of souvenirs for your loved ones back home. It’s an inexpensive and interesting visit. Grab the chance to pick up some bargain souvenirs. I hope you found this information useful. In case o still have concerns or questions, just drop a comment below, and I’ll get back to you as soon as I can. Il tuo amico Siciliano, Don Tano Bongiorno !